Are you happy? The likelihood that you are is decreasing every year. According to a United Nations report released Wednesday, Americans are only the nineteenth happiest people in the world, a position that has declined steadily for the last three years. The ranking was based on six key variables: gross domestic product per capita, social support, healthy life expectancy, freedom to make life choices, generosity, and freedom from corruption. Our declining happiness makes me wonder: Are we enjoying the “more and better life than we ever dreamed of” that Jesus said he came for us to have (John 10:10 The Message)? Are we feasting on the great banquet of blessing that God has prepared for us, or are we so distracted by other things that we find ourselves increasingly excluded from it (Luke 14:15-24)? The season of Lent is about remembering the good life God offers, recognizing how far we have drifted from it, and reorienting ourselves so we can live that good life. It’s about being more than merely happy; it’s about remembering that we are here for only a little while and reorienting ourselves to the reason why God has placed us here (Matt. 5:48. “Be perfect”: the Greek is teleos, perfectly aligned with our purpose). Jesus might have had in mind Psalm 90 – “Teach us the shortness of life that we may gain wisdom of heart (v. 12) – when he was teaching about the end of all things (Luke 12:35-59) and some people came to him with questions about how his teaching applied to two headline-grabbing events: the deaths caused by Pilate’s persecution and by a building collapse (Luke 13:1-9). They struggled to know why: Why did these people deserve such an end? Why did God take them? Why do bad things happen to good people? We often ask those questions in one way or another. But Jesus sidesteps them. Such sudden reminders of the shortness of life are not reasons to ask why this happened. They’re opportunities to recognize that we’re still here. We’ve been given another day, another opportunity to live the life God creates us to live and calls us to live. Then he told a story about a tree that bore no fruit. So why are we here? Thomas Merton wrote, “If you want to identify me, ask me not where I live or what I like to eat or how I comb my hair, but ask me what I am living for, in detail, and ask me what I think is keeping me from living fully for the thing I want to live for” (My Argument with the Gestapo). What are you living for, in detail, and what do you think is keeping you from it? 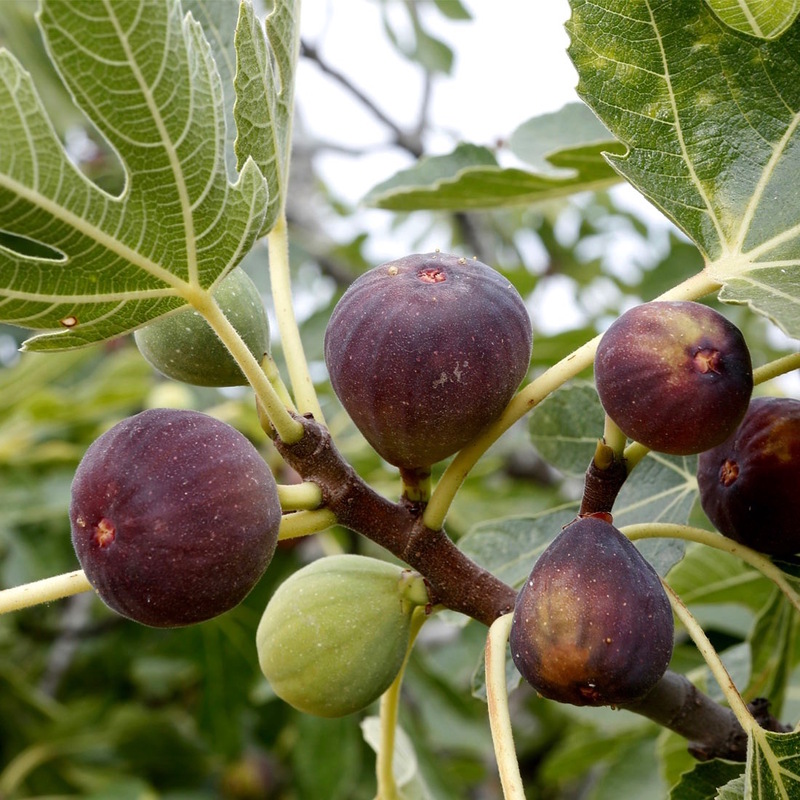 If the parable of the fig tree Jesus tells just after the reminders of life’s shortness is any clue, what we’re living for is to bear fruit, to offer up what God wants from us, to participate in what God is doing in creation. If you were baptized as a Lutheran, the liturgy says you have been united with all who have been baptized, and you are “joined in God’s mission for the life of the world.” Other Christian liturgies say essentially the same thing. So what is our role in God’s mission? Why are we here? What are we living for, in detail? What fruit does God expect us to bear? First, we’re not here simply to enjoy a blessed life for ourselves. We are here to make life better for others. At the beginning of the Abrahamic faith tradition – the common tradition of Jews, Muslims, and Christians – God commissioned and blessed Abraham so that Abraham and all who followed him would be a blessing to others. And the blessing was not limited to like-minded others; it was a blessing “for all the families of the earth” (Gen. 12:1-3), without exception. The fruit God expects us to bear is a harvest of blessings for everyone around us. Second, the blessings God has commissioned us to pass on to others are not mere “have a nice day” blessings. They are blessings of substance, of justice and kindness offered with a profound sense of humility. God “has told you, O mortal, what is good,” the prophet Micah wrote; “and what does the Lord require of you but to do justice, and to love kindness, and to walk humbly with your God” (Micah 6:8)? The fruit God expects of us is that we work for an equitable sharing of all of earth’s resources so that no one has too little and no one has more than is necessary for a basic, sustainable life (cf. 2 Cor. 8:12-14). The fruit God expects of us is that we treat everyone else with profound respect, treating others as we would have them treat us (Luke 6:31; Matt. 7:12). The fruit God expects of us grows out of the words of our Ash Wednesday liturgy, “Remember that you are dust and to dust you shall return,” or the prayer of the psalmist, “Teach us the shortness of life that we may gain wisdom of heart” (Ps. 90:12). And third, our faith tradition tells us how God will judge the value of the fruit we bear. Did we feed the hungry and give the thirsty something to drink (Matt. 25:35a,b)? Did we make room at the table and treat our resources as gifts to be shared equitably with everyone? Did we welcome the stranger (v. 35c), literally the foreigner who dwells among us without roots or connections? Did we help them find hospitable space under our roof? Did we care for the sick, the weak, the feeble, the powerless, the marginalized in our society (v. 36b)? Did we visit the prisoner (v. 36c)? Did we maintain healthy relationships with those who for a time are separated from society, with the aim not of punishing or excluding but of effectively reintegrating them into society (Matt. 25:31-46)? Did we fulfill our baptismal vow to be the body of Christ, who came not to be served but to serve (Matt. 20:28)? God’s judgment of our fruit really needs to be our own judgment of the fruit we bear. The night before Lance Armstrong’s surgery for brain cancer, he thought about death and the shortness of life, and he asked himself some questions we might ask ourselves: What sort of character do I hope to show? Am I content with myself and what I have done with my life so far, and is God pleased with it? Not do I believe in a certain book, or have I been baptized, but have I lived a true life, a fully human life? Have I let the real needs of the one in need define what I do to serve that person? Have I lived as fully as possible for the one thing I want to live for, the one thing for which God has created me? And where I haven’t been, what’s been keeping me from it?